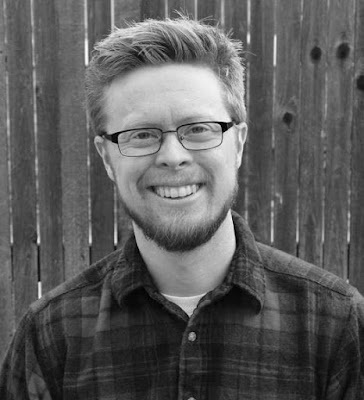 Patrick Dawson, ølskribent og forfatter til “Vintage Beer”, som stadig er den klart bedste bog om øl jeg har læst, barsler med nyt. 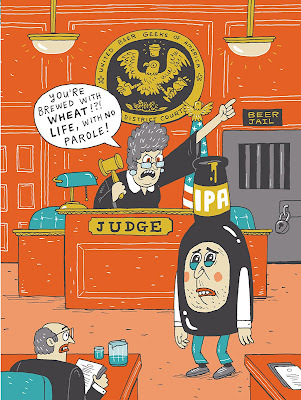 The Beer Geek Handbook er allerede udkommet i USA, og bliver tilgængelig i Europa fra juni. Bogen er en indførsel i ølnørdernes dos and don’ts, leveret med en humoristisk vinkel og mulighed for at lære undervejs. Jeg benyttede mig af lejligheden til at lave en hurtig Q&A med Patrick Dawson. How did the idea for this book come about? And how long has it been on its way? The book was actually the idea of my publisher, Storey. They published a book back in the 80's called the Preppy Handbook, a tongue-in-cheek guide to living the upper crust lifestyle, and had the idea to do something similar with the beer geek lifestyle. They offered up the idea to me and I liked it. This beery world we all live in is quite funny and it was fun to poke a bit of semi-satirical fun at it. I first started writing it back in 2014, and it was certainly a bit difficult keeping up with all the changes occurring daily in the beer world these last few years. Does the world need an users guide to becoming a beer geek (and is there more to it than growing a beard?)? Need? 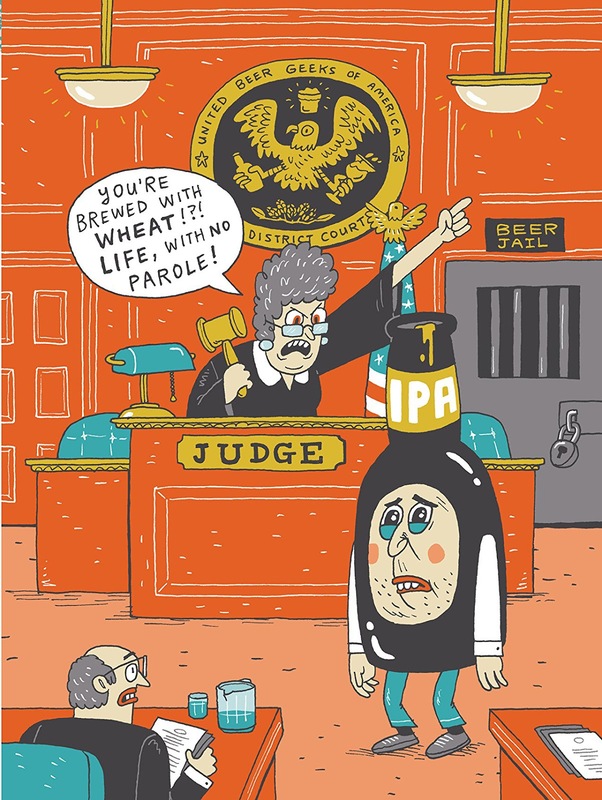 Ha, the world could probably keep turning with out it, but hopefully it could provide a little insight to those first getting into beer, and maybe give a couple chuckles to some of the seasoned beer geeks like yourself. The book is not a technical one at all, just more observations of how all us beer geeks obsess about beer in just about every aspect of our lives. Humour is rarely seen in the beer world. Why use this approach to the book’s subject? To be honest, I don't think there is any other way to do it! When you talk about people camping out for beer releases, or hand bottling rare beers in bathrooms, the humor becomes a bit inevitable. Who do you think will benefit from book? 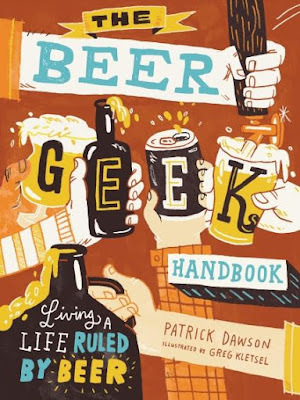 People that are curious to learn more about the beer world, or could die hard beergeeks also benefit from reading it? On the surface the book is for people just getting into the beer scene, but I hope that die hard beer geeks could pick it up and find a good amount of humor in it. And finally what will be your next book project? I don't know. Just sort of catching my breath now. You have any ideas?! The Beer Geek Handbook kan allerede bestilles fra Amazon.com til omkring 120,- og med op til en måneds leveringstid (vælg Amazon som sælger). Alternativt kan man vente til den udkommer i juni og se, hvad den kommer til at koste på disse kanter.